What’s on Your Grief Bookshelf? Visit any major bookstore, and you will likely find an entire section devoted to the topics of grief, loss, and bereavement. 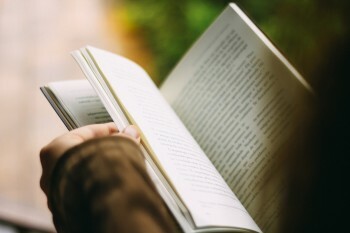 This is no accident; when you lose a loved one, reading is considered one of the best ways to cope. Whether you need information on the emotional side effects of loss, practical advice such as how to handle a parent’s finances, or even ongoing support as the years pass, there is sure to be a book designed with you in mind. What you buy (or what you pick up from the library) will depend largely on your situation, as well as your personal religious beliefs and what you hope to get out of your reading. This book list is a great place to start, but feel free to add any reading that made a difference during your own journey through grief. This award-winning bestseller is written by a surgeon who reflects on how modern medicine has changed the way we look at (and feel about) death. Written by a cousin of musician Kurt Cobain, this book offers a more specific look at what it means to lose a loved one to suicide. When this author of the beloved Chronicles of Narnia series lost his wife to breast cancer, he wrote a series of reflections on his thoughts, feelings, and struggles to regain his faith in the aftermath of loss. This Christian-based book is written by a worship leader and Grammy award-winning recording artist whose husband was diagnosed with a brain tumor. It goes beyond death to look at other causes of grief and loss. If you can’t tackle sitting down and reading a whole book about grief, this one offers quick, daily meditations designed to bring comfort and reflection. If you are struggling with your feelings of loss and need more practical guidance for taking care of yourself, then this book might be for you. This book has sold more than twelve million copies and continues to be a bestseller at most bookstore chains. It is a good read for those struggling with grief as well as those who are simply looking for a reflection on life and what it means to be human. Albom’s The Five People You Meet in Heaven is another good read. This bestselling and award-winning book was written by a Facebook COO and a Wharton psychology professor. It goes beyond death to provide insights about how to find strength in all kinds of adversity and loss.